Sight Glass (Sight Flow indicators) is used for monitoring flow in pipelines for a wide range of applications. Ablaze manufacturing Sight Glass suitable for various rugged industrial applications. These Sight Flow Indicators are bi-directional type and easy to install in any orientation. Sight Glass (Sight Flow Indicators) provides a quick, reliable and economical way to verify the flow of liquids through industrial process pipe lines. Ablaze Sight Glass has been designed with outstanding quality and the feature you need to streamline your operations. Full view types Sight Glass are widely used for corrosive chemicals, acids and coloured liquids. 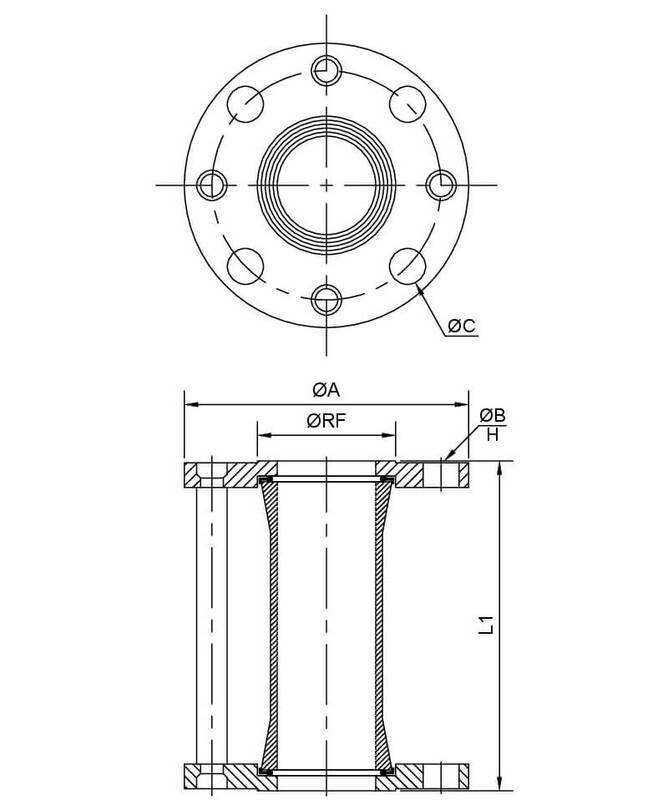 Sight Glass (Sight Flow Indicators) are generally used in processes, where spot required to detect presence of media, or to visual inspect color, clarity, turbidity, or other critical characteristics. 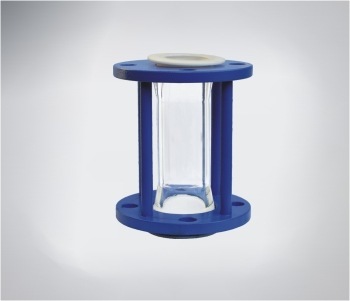 Sight Glass can be installed vertically or horizontally in the middle of any kind of non-transparent pipeline and are very convenient & easy to observe the flow from any direction. 1 END PIECE 2 CS / SS +3 mm THK.